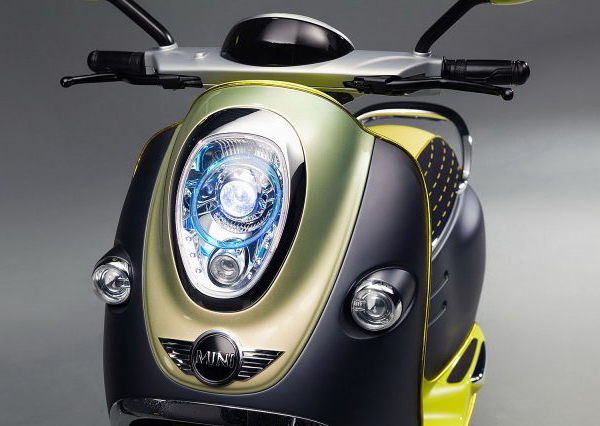 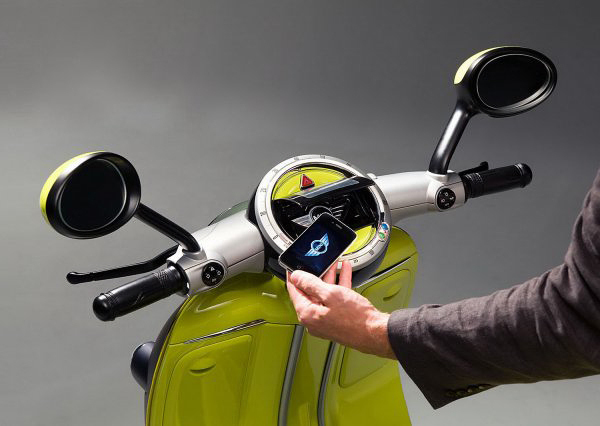 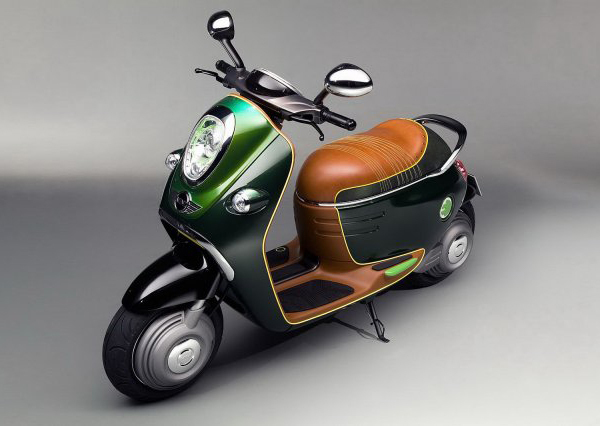 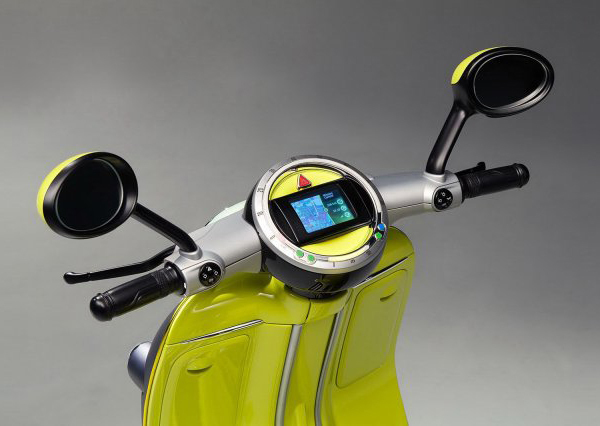 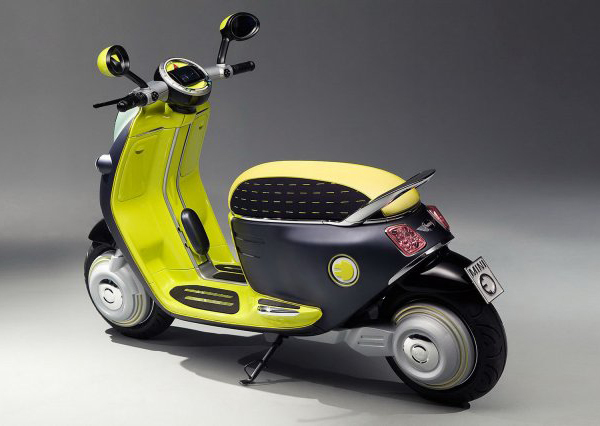 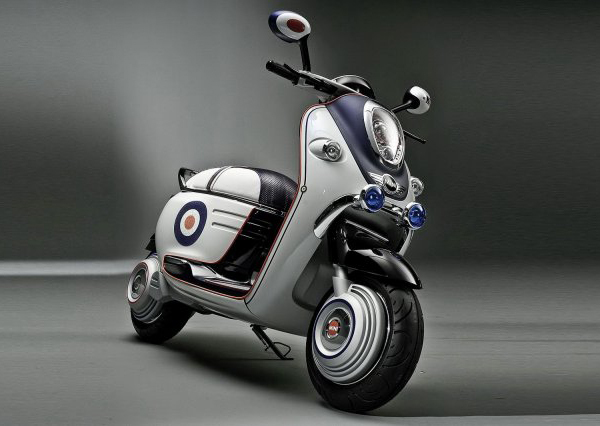 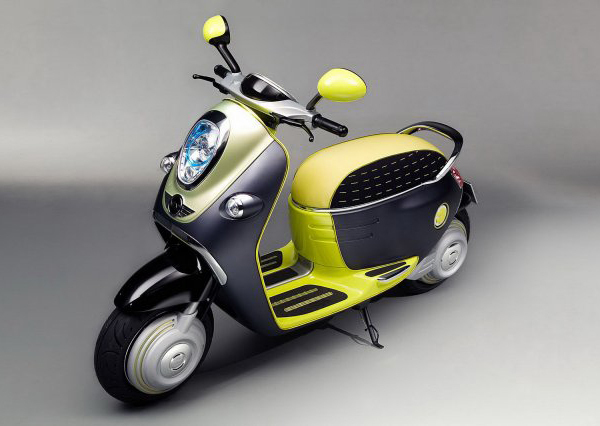 MINI has unveiled retro-futuristic conceptual model of electric-powered scooter called MINI E Scooter Concept. 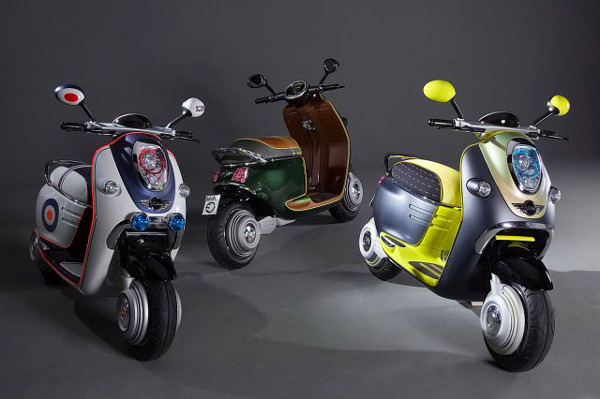 This concept shares traditional MINI design: these are typical large speedometers and oval mirrors, square rear lights and chrome inserts. 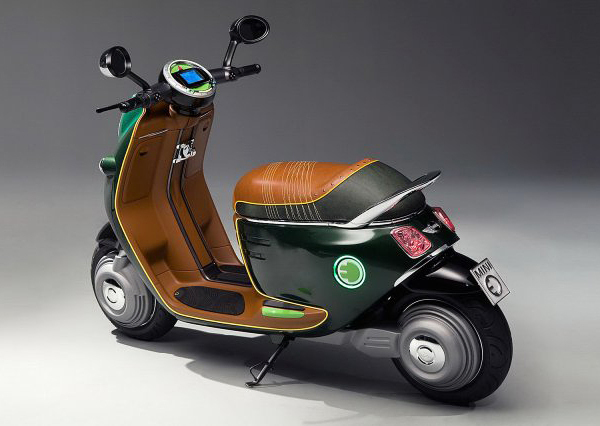 There will be possibility to store power on lithium-ion batteries, use electric motors built into the rear wheels, and accept charge via retractable leads in the back. 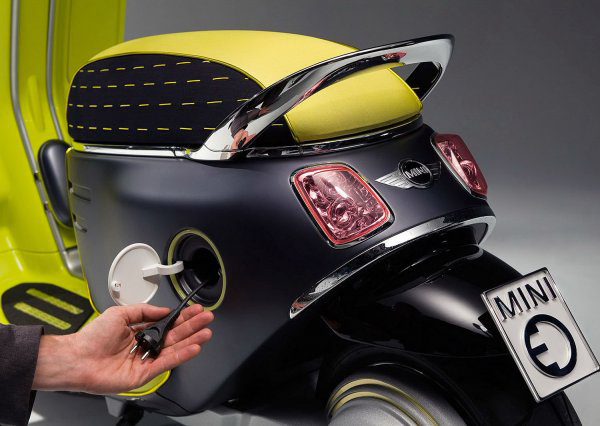 If this concept will get positive feedback from public and experts at the 2010 Paris Motor Show the mass production of MINI Scooter will not take long. 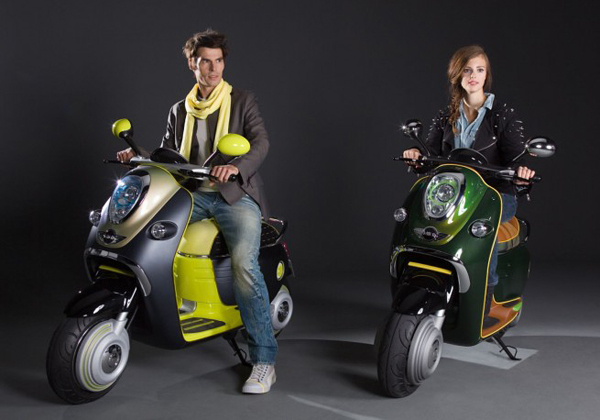 If you want you can check more modern mini bikes: 10 Folding Electric Mini Bikes. 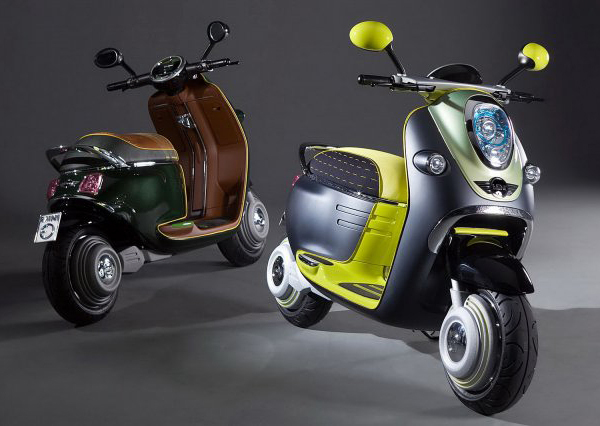 I love the retro look to them, quite classy.